LED par cans come in 3 sizes: Par 36, Par 56 and Par 64. We don't rent any Par 36 lights, since we find them too small for the average use. 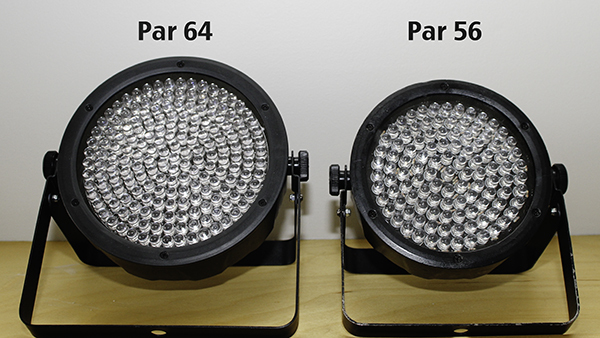 We do offer a couple different options in the Par 56 and Par 64 size category. Read more about the LED par cans we have available for rent.